Amidst many delays in the past, Google’s Backup and Sync tool is finally available for download for both Mac and Windows. This new tool replaces the existing Google Photos desktop uploader and Drive for Mac/PC. The Backup and Sync app backs up all the files and photos safely in Google Drive and Google Photos, so that they're no longer trapped on computer and other devices. Thus it is a one-stop solution by Google to sync everything and anything, including photos and videos from digital cameras, SD cards, phones and USB devices. The tool automatically uploads and saves any files or photos stored on a Windows or Mac device to Google’s cloud services. Any changes one makes to the files would sync everywhere. To get started with the services of the new tool, you’ll have to first sign in into your Google account, then select the folders you want Google to continually back up to Google Drive. Since it is replacing current users’ existing Google Drive installations, the tool would continue to follow any current settings you’ve pre-specified on Mac and PC. Choose where in Google Drive you want the content to be stored and the tool takes care of the rest. There are also specific options users can choose to control the file deletions. The backed up files and photos are accessible in Google Drive from any device associated with the user’s account while the photos and videos would be available in Google Photos. 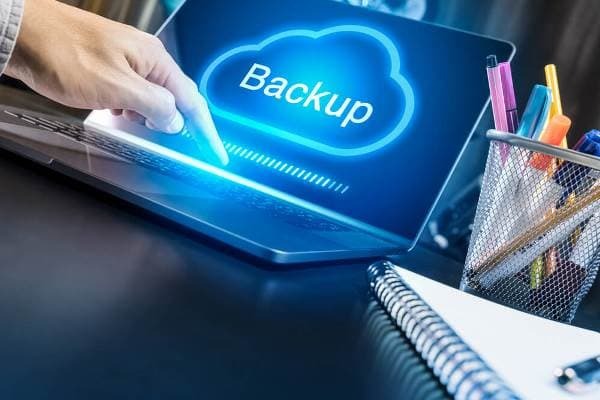 Google has further clarified that the Backup and Sync is primarily intended for consumer users. It has hence recommended its G Suite customers to continue using Drive for Mac/PC until the new enterprise-focused solution, Drive File Stream (currently in EAP), is made generally available to all G Suite Basic, Business, Enterprise, Education, and Nonprofit domains later this year. Drive File Stream would enable users to access the huge corporate data sets without taking up the equivalent space on their hard drives. Interested users can sign up for the ‘Early Adopter Program’ (EAP), specified Google via its blog. Meanwhile Backup and Sync tool is available for free download via Google Drive and Photos websites. This is how they should have launched the Drive in first place. I always thought that the Drive had this feature and I was kinda 'shocked' to see it did not. Better late than never, Google.